A quadrant shower enclosure offers excellent internal space and a softer line that the more traditional square corner shower enclosure. Check out the Mira Flight shower trays that compliment there shower doors perfectly. shower trays, Flight Low trays. 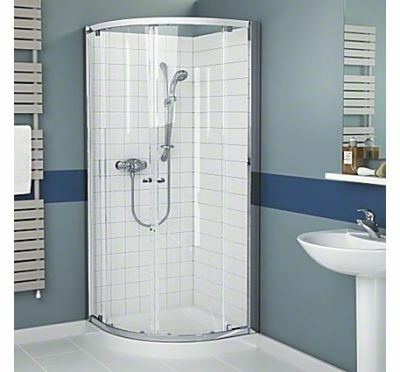 To create a complete quadrant shower enclosure there are two component packs that need to be ordered. Firstly, choose the appropriate door size pack below, then you will need to order a suitable quadrant panel pack. For the avoidance of confusion, two component packs are required, must be ordered separately and are priced individually. The quadrant sliding door is ideal for bathrooms with limited space and, with its double rollers, it’s designed for a smooth gliding action every time.